CarryMinati aka Ajey Nagar is a very popular Indian YouTuber. He was born in Faridabad, Haryana, India on 12 June 1999. CarryMinati is 19 years old (As Of 2018). CarryMinati started making a video in 2008 – 09 and at that time he was only 8 years old. At that time CarryMinati creates a YouTube channel titled Stealth Fearzz, where he uploads videos related to football and its tricks and tutorials. His channel became popular with the viral video “MAKING MONEY WITH BB KI VINES“, that video was the turning point of his YouTube career. Carry Minati crossed a million subscribers in 2017 and got his Gold Play button. Carry Minati is an extremely talented and very popular Indian YouTuber. You may also like to read about Bhuvan Bam, Amit Bhadana, Ashish Chanchlani. In 2008- 09, CarryMinati became familiar with YouTube when he was only 8 years old. He used to watch football tutorials on Youtube and from there he was inspired to build his channel. In 2010, he started his channel “Stealth Fearzz,” where he published videos on football tricks and tutorials. At that time Ajey Nagar posted a number of videos, but there was no good response, as other YouTubers in knowledge and experience were much better than him. In 2014, after’ Stealth Fearzz,’ a new YouTube channel named Addicted A1 was created by him. He started making game videos with his commentary on them. He also tried mimicking Shah Rukh Khan and Sunny Deol in the commentary in order to make the videos more entertaining. Again the channel didn’t work very well, because there was a small audience for videos of this kind. Later, Ajay Nagar came across another YouTuber channel called “Leafyishere“, where the gameplay roasting videos were shown. He was impressed with the work of Leafyishere and he had the idea to do the same for his channel. In 2015, he changed the name of his channel to CarryDeol and began placing Gameplay roasts in the voice of Sunny Deol. Later, when the channel became famous he changed the channel’s name to CarryMinati. During Ajey’s 12th examination, he was very nervous about his economics examination, because he was not prepared for the examination. So, with the permission of his parents, he dropped that year and gave his 12th exams from distance education. His channel became popular after his “MAKING MONEY WITH BB KI VINES” video came out because that video went viral. When Ajey Nagar was at the beginning teenage years, he was rather overweight. Because of which he had some health problems. So, to recover his health, he joined the gym and managed to lose his weight after some diet control routines. He has some anxiety problems, which leads to a breathing problem for him. He made more than 150 videos on his channel private for some unknown reasons (not accessible to anyone except him). In 2017, the channel of Ajey Nagar crossed 1 million subscribers and got its Gold Play button. He also do games live stream on his another channel that is CarryIsLive which has more than 1.5 million plus subscribers. 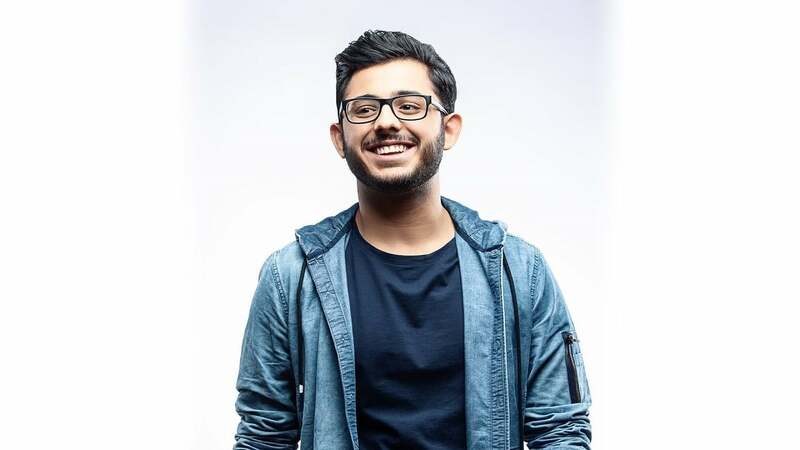 These were the latest information about CarryMinati (Ajey Nagar) Biography, Age, Birthday, Height, Wight, Girlfriend, Net Worth, Wiki, & More. Please do share guys this post with your friends and keep visit on NamesBiography.com for Indian celebrities biographical updates. You may share your experience or any kind of suggestion with us by leaving a quick comment below. Thank You!